At first glance, the Lakers’ +800 odds of winning the 2018-19 NBA Championship seem like a sucker’s bet. 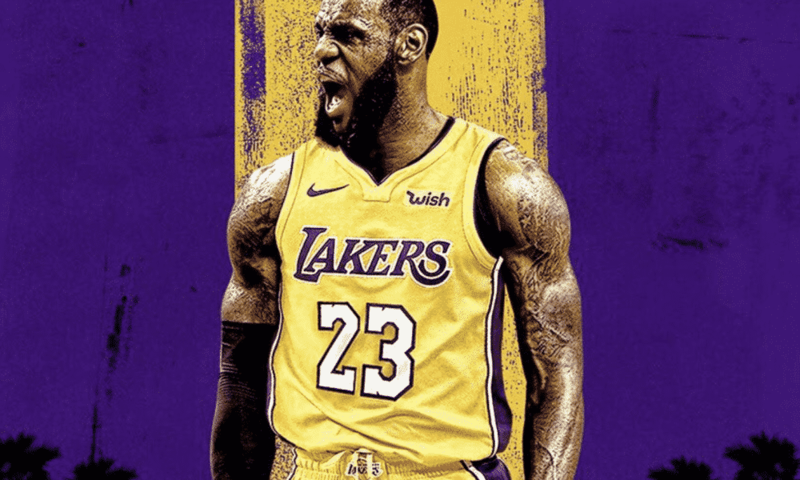 Anybody excited enough about LeBron James donning the purple and gold to put down money on Los Angeles to win it all is clearly just throwing their hard-earned cash in the trash, right? Instead of adding another superstar (or two) to join James in Los Angeles, the Lakers signed Lance Stephenson, Rajon Rondo, Michael Beasley, and JaVale McGee. Even if their young core of Brandon Ingram, Kyle Kuzma, and Lonzo Ball improve by leaps and bounds heading into this season the Lakers roster does not really inspire “deep playoff run” type confidence as it is currently constructed. But that’s the thing, this bet is not about the Lakers “as currently constructed”. It’s about the future. And the future, in Los Angeles, is full of possibilities. Many were left scratching their head and wondering about the fit and chemistry of what has since been dubbed “The Meme Team.” What is lost in all the laughter is the fact that all of the new Lakers have been signed to very friendly one-year contracts. The type of contracts that look mighty fine to a team looking to unload an unsatisfied superstar when the trade deadline comes around. Those contracts, combined with the young talent the Lakers have assembled put them in a perfect position to make a series of moves that turn those +800 odds from laughable to a downright steal. The Lakers stood their ground this summer as Kawhi Leonard was dealt from San Antonio to Toronto. A forgivable move when you consider Leonard is coming off an injury that limited him to see action in just nine games last season. But the current Raptor has been quite vocal about his want to play in Los Angeles for quite some time. If things in the Great White North head south at all this year, the Raptors may not want to wait until the offseason to kickstart their rebuild. The Lakers, having recently lost out on what seemed like a sure thing in Paul George, might not want to make the same mistake twice and may be more aggressive in pursuing Leonard before he hits the open market. Things are not all sunshine and rainbows in Minnesota, either. Reports have surfaced that Jimmy Butler is unhappy, and even declined a max contract extension this summer. 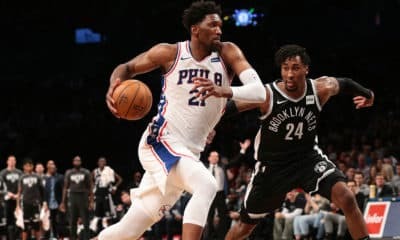 Butler is another name that has come up in many talks regarding players who may soon have a new home and would be the perfect type of two-way option to pair with James in Los Angeles. Shooting is always an asset in today’s NBA and is certainly key to building a team around LeBron James. 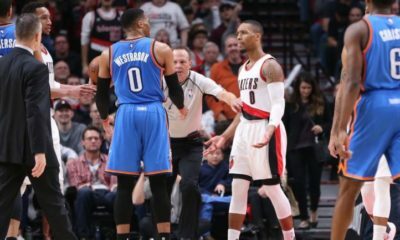 CJ McCollum and Bradley Beal are two names to look out for as Portland and Washington are teams that could be a slow start away from looking to make changes. 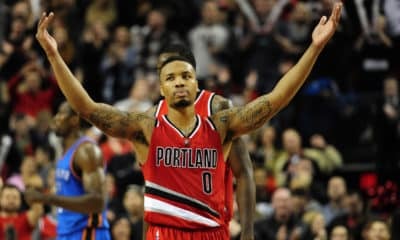 The Trailblazers could be looking to move away from their two-headed-guard approach to add more versatility alongside Damian Lillard. The Lakers could provide that if they’d be willing to part with Ingram or Kuzma. The Wizards are in such a strange place as an organization their big offseason move was adding Dwight Howard. It could only be a matter of time before they are looking to move on from their three max-level players in Beal, John Wall, and Otto Porter. Kemba Walker is another all-star caliber player who may be available soon. The former UConn Huskie has been linked to LeBron in rumors before. He’d be a nice fit at point guard next to James, as he can run the show or play off-ball. 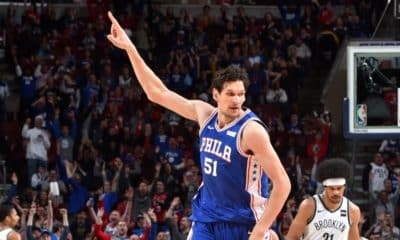 Walker is entering the final year of his contract before hitting free agency, and the Hornets might want to get something for him now and not risk the chance that he walks away. This last one is a longshot, I know. And it would take a Godfather-type offer from the Lakers even if he were to become available. But, is it time to start thinking that Anthony Davis may not spend his entire career in New Orleans? The Pelicans have had seven years to figure out how to surround one of the league’s premier talents with a supporting cast and so far have not been able to do so. Davis is signed through next season, with a player option for 2020-21, so the Pelicans don’t have to panic just yet, but if the Lakers were willing to part with a package of their young stars and any future picks they could muster up at least a passing interest from New Orleans. The Lakers could certainly decide to make two strong moves this season, and depending on which two moves, could even hold on to some of their young talent and veteran depth. They’re also prime candidates for the buy-out market as well, which should make it easy for them to plug any potential holes left for their playoff run. Are the current Lakers deserving of their place as a team with top-five odds of winning the 2019 NBA title? Not even close. But are the Lakers two moves away from being a serious contender? We not only say yes to that but think there will be plenty of opportunities for them to make just those moves. And as he’s proved time and time again in his career, with LeBron James, anything is possible.